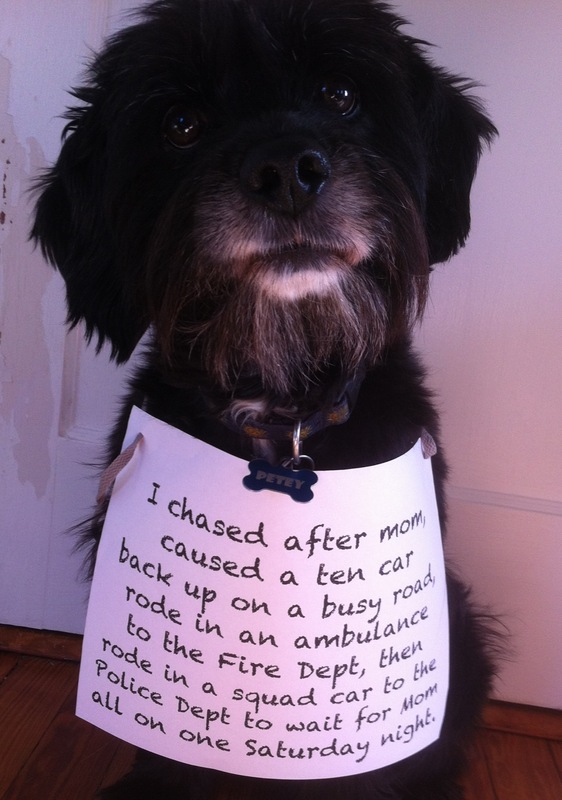 I chased after Mom, caused a ten car back-up on a busy road, rode in an ambulance to the fire department, then rode in a squad car to the police department, and almost made it to animal control before Mom picked me up from jail all on one Saturday night. Posted December 20th, 2014 . Boy, I bet that was expensive!! Next time just take Petey with you, its easier that way. Such a big night for a little guy, but I bet he had fun though. Sony will soon be contacting you for the movie rights. It will be better than any movie Adam Sandler did for them, LOL! Yeah, the cat will hack into Sony and Sony will backed down. hahahahaha. Anyway, that is one great furbaby. Wowee ! What a wild adventure !